Dr. Nachwalter is the author of two spine book chapters in press as well as four articles in peer review journals regarding spinal surgery and several abstracts. He has presented over 40 medical presentations and poster exhibits and has participated in course faculty. Away from his practice, he maintains ties to current research and practices through his memberships in the North American Spine Society, The American Academy of Orthopedic Surgery, The New Jersey Orthopedic Society and the Medical Society of New Jersey. Dr. Nachwalter has also been the recipient of numerous Healing Hand Awards and ACE awards. Currently, Dr. Richard Nachwalter is involved in cutting edge spinal surgery at Morristown Medical Center, by serving as Chairman of the Spine New Technology Committee. He also serves on the Spine Steering committee and on the Orthopedic advisory committee. He has extensive experience in both surgical and nonsurgical management of spinal disorders. He utilizes minimally invasive techniques, microscopic surgical techniques, and traditional surgery as well. All conservative measures are exhausted before surgery is considered. Dr. Carl Giordano is an orthopedic spine surgeon with more than 25 years of experience, specializing in all disorders of the spine. 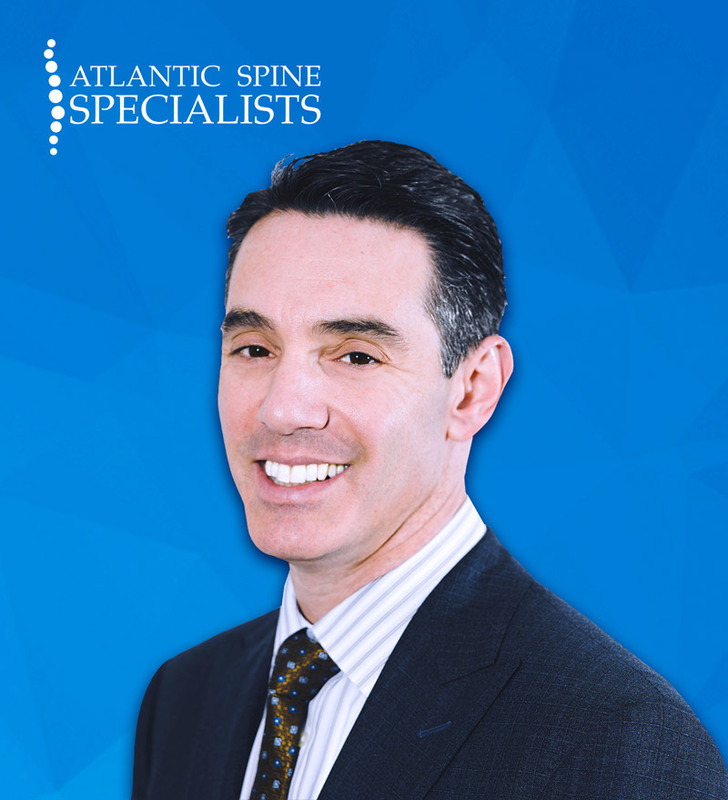 He is the founding member of Atlantic Spine Specialists. He is fellowship trained in orthopedic spine surgery and holds a subspecialty fellowship in spinal surgery. If you are looking for an orthopedic surgeon in Morristown, New Jersey, request a consultation at Atlantic Spine Specialists or call (973) 971-3500 to schedule your appointment. Dr. Giordano graduated from Villanova University with honors after which he attended Rutgers Medical School. Dr. Giordano went on to complete his orthopedic residency at the Hospital for Joint Diseases – New York University in New York City. (Then was ranked by the 2015 US News and World Report as the #5 Orthopedic Department in the United States.) He then went on to complete his fellowship in spinal surgery also at the Hospital for Joint Diseases where he trained under world-renowned spine surgeons. Dr. Giordano is the author of five orthopedic and spine book chapters as well as 11 peer-reviewed articles published in orthopedic journals. He has published original research in orthopedics on several topics as well. He has given over 15 presentations and poster exhibits along with over 25 lectures to the scientific community. Dr. Giordano has been the recipient of the Marian Frauenthal Sloane Award for outstanding Orthopedic Research, Resident teaching Award, Master Care Recognition Award, Kingston National Registry, Numerous Healing Hands Awards, ACE Awards and has been the recipient of research grants. 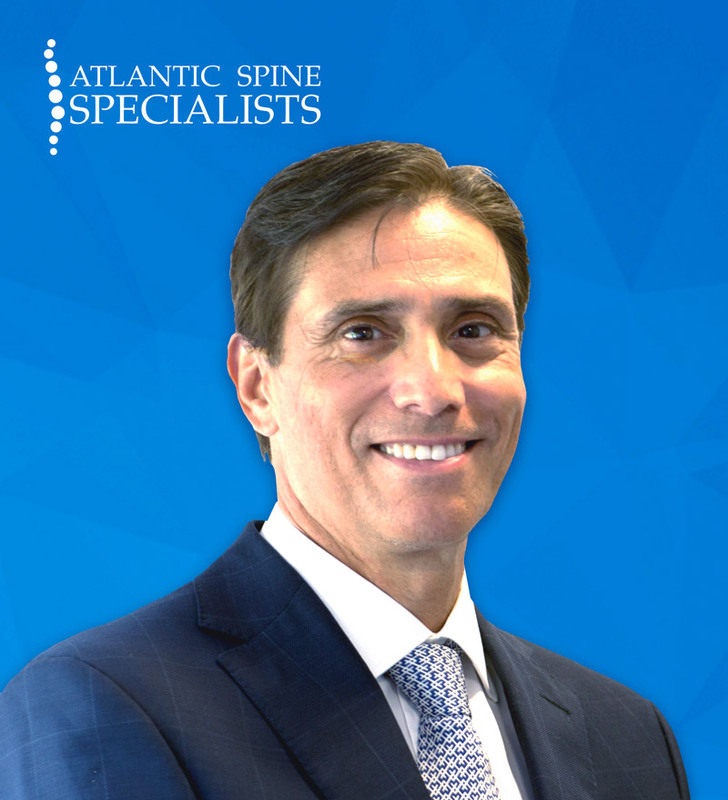 Dr. Giordano has been in practice at Atlantic Spine Specialists since 1997. He serves on the staff at Morristown Medical Center and has held the Chair of Vice Chairman of the Department of Orthopedics, Chief of the Spine Section, and has served on several hospital committees including the Atlantic Neuroscience Institute. He has served as the medical director at Stryker Howmedica Tissue Bank and Health South Physical Therapy. He has served on several committees for the American Board of Spine Surgery including the ethics and examination sections. Dr. Giordano has been honored three times by New Jersey Monthly, “Top Doctors”, Better Living Magazine, “Best Doctor’s, and “Top Surgeon” with the Consumer Research Council of America. He is a member in good standing of the American Academy of Orthopedic Surgeons, the Morris County Medical Society and the New Jersey Medical Society, the New Jersey Orthopedic Society, and the North American Spine Society. Dr. Giordano has extensive experience in both surgical and nonsurgical management of spinal disorders. He utilizes minimally invasive techniques, Microscopic surgical techniques, and traditional surgery as well. All conservative measures are exhausted before surgery is considered.